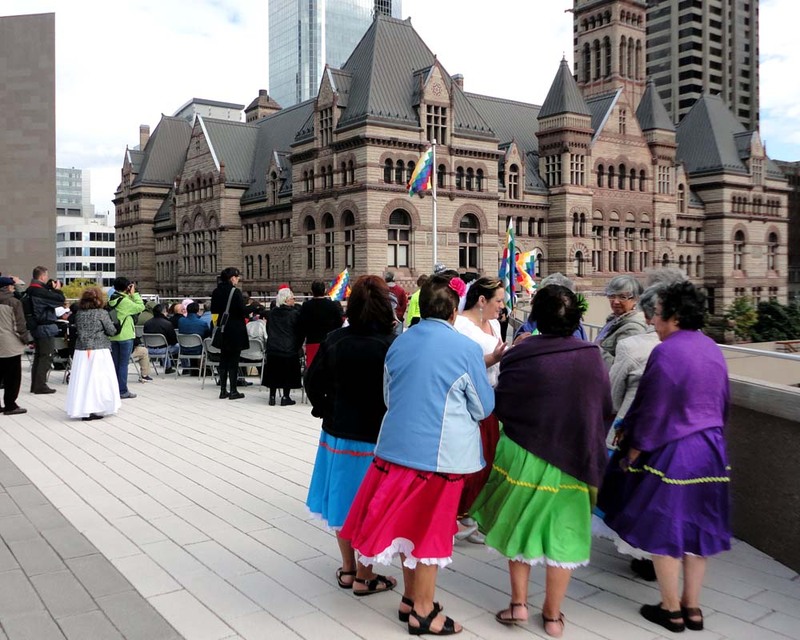 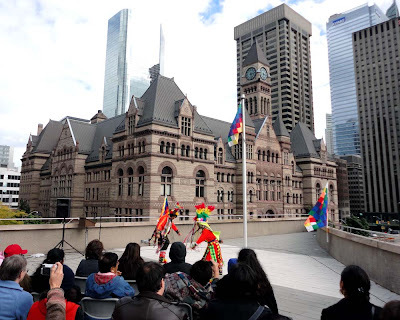 The City of #Toronto raised the Wiphala Flag to mark the autumn equinox and the anniversary of the Andean Council of Indigenous Peoples on Sunday September 23, 2012. 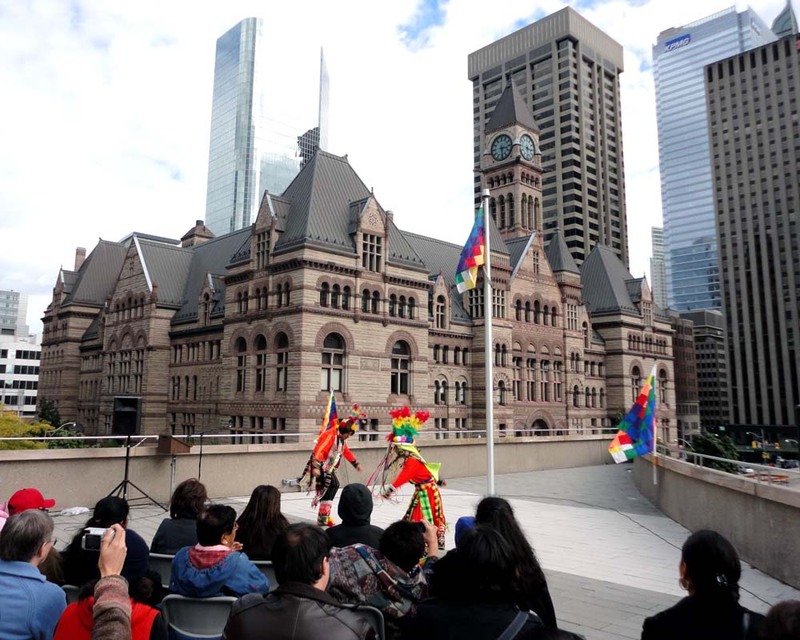 The celebration included traditional dancers and singers performing on the podium roof of City Hall. "There will be performances by traditional singers and dancers, including "Los Danzaq" from Peru, "Wayna Thakis" from Bolivia, "Spirit Wind" from Canada, "Aztec Dancers" from Mexico, "Melody" from Bolivia and the legendary "Ayni" Group." 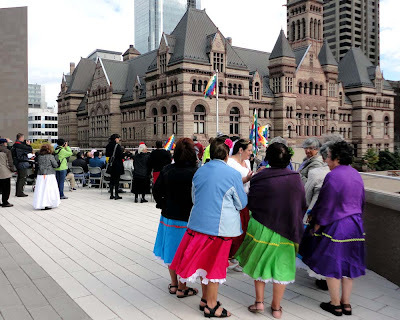 The flag and the outfits of some of the dancers was certainly bright and colourful - the flag was made of 49 squares in the 7 colours of the rainbow. 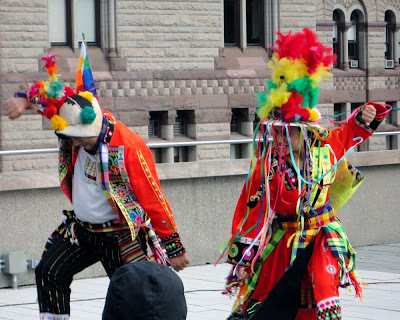 The area of the indigenous Andean population spreads through Bolivia, Ecuador, Peru, northern Chile, northen Argentina and southern Columbia.